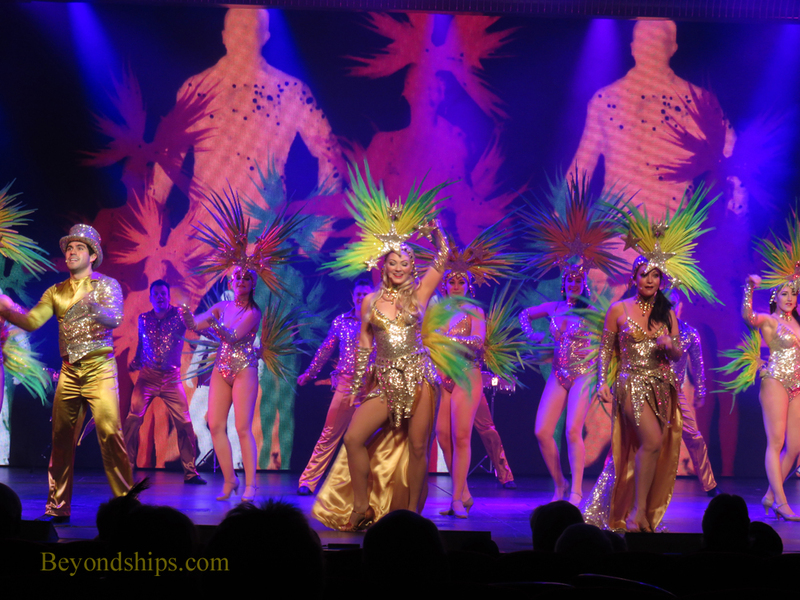 Because QM2 was built with the transatlantic crossing in mind, she is geared to provide a very substanal array of activities and entertainment for sea days. As a result, sea days are different than those on many other ships. 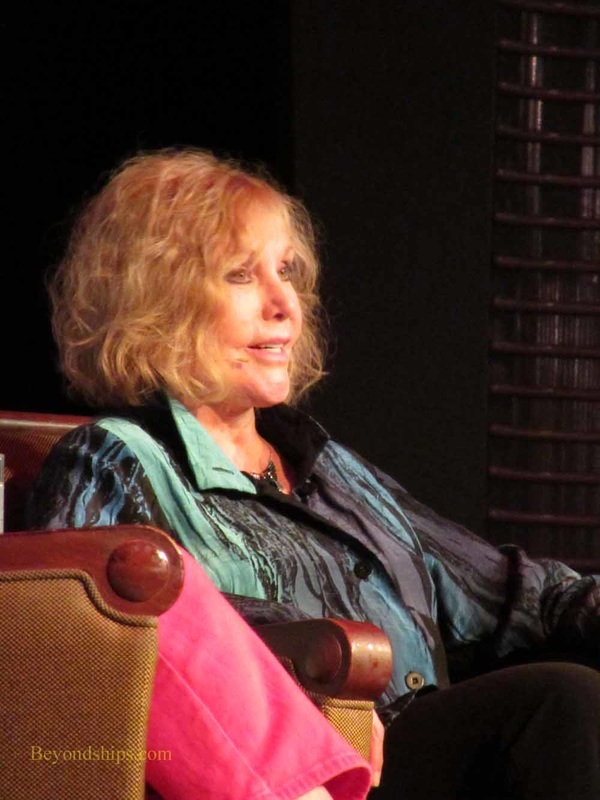 The activities tend toward the intellectual and the cultural. 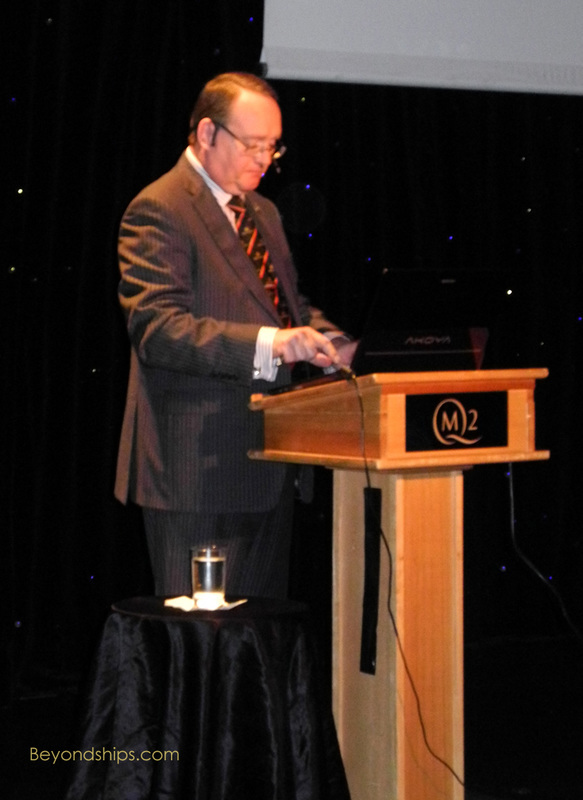 Where QM2 really excels, however, is in activities for the mind. 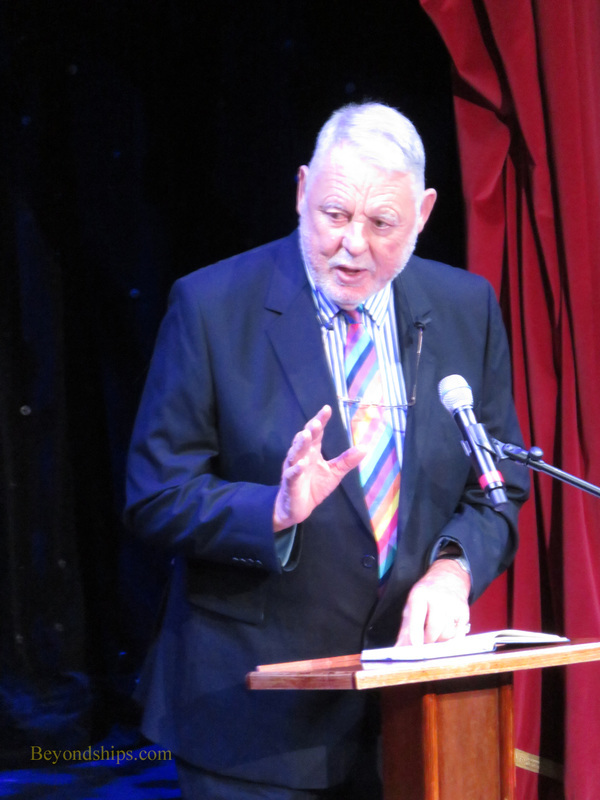 There is also a high quality lecture program, which includes lectures by members of the Royal Astronomical Society as well as authors, historians and people involved in the arts. 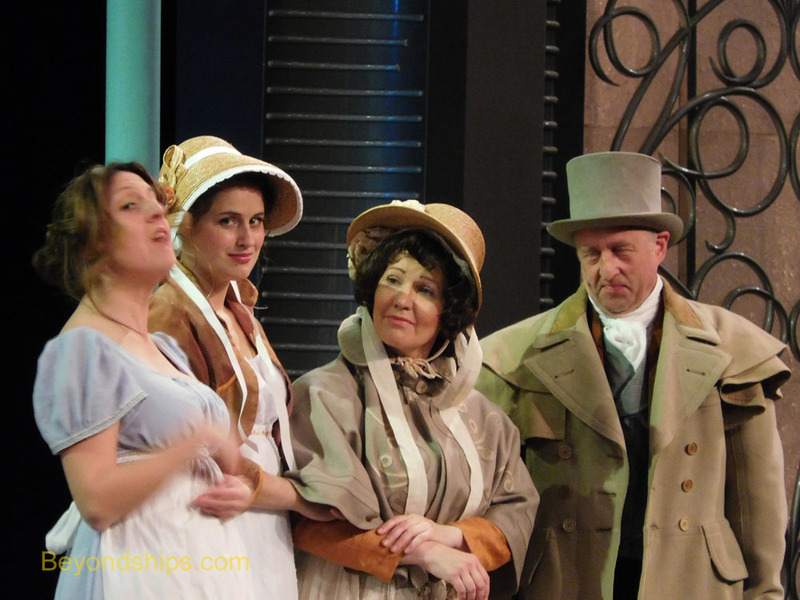 A troupe from the Royal Academy of Dramatic Arts, gives acting lessons as well as performs. In the ship’s planetarium, passengers lean back and look up into a large concave screen upon which programs developed by the Hayden Planetarium are projected. These are quite popular and although there are several showing each day, it is wise to secure a ticket early in the day. 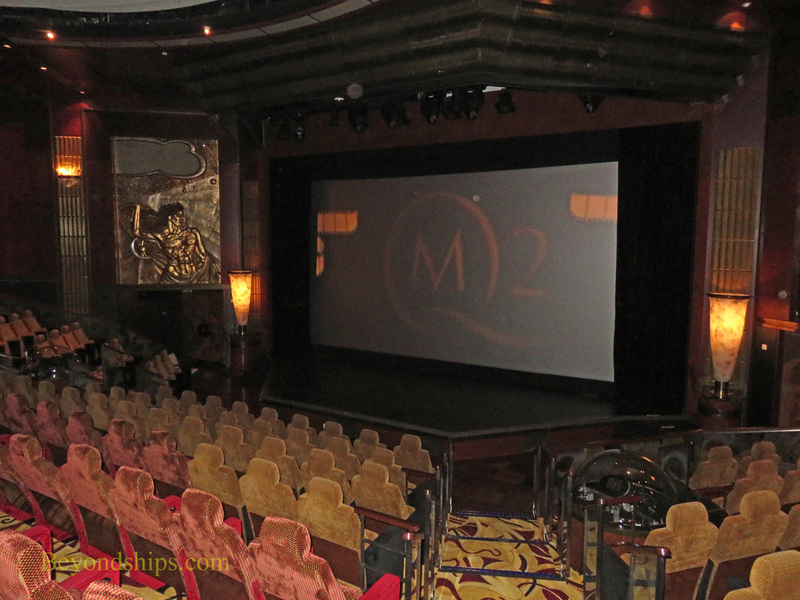 The Royal Court Theatre is QM2's leading entertainment venue. 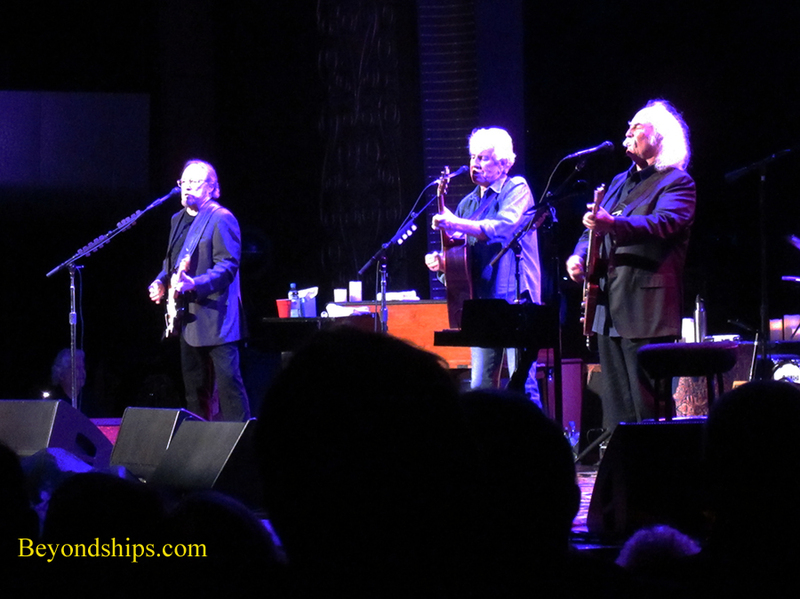 Its stage is comparable to that of a Broadway or West End theater and it is equipped with a high quality sound system. 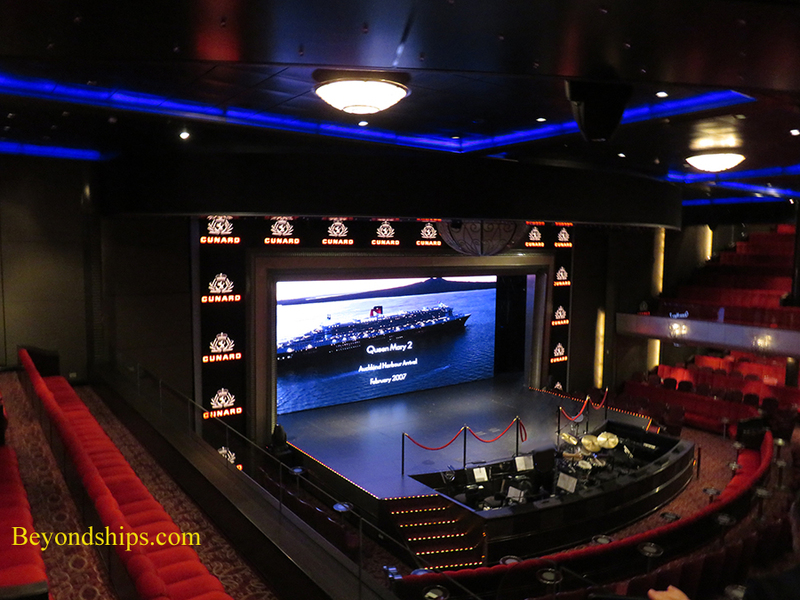 During the 2016 refit, the Royal Court was equipped with a massive video wall, which can be used for scenery or for virtual characters to supplement the live entertainers. 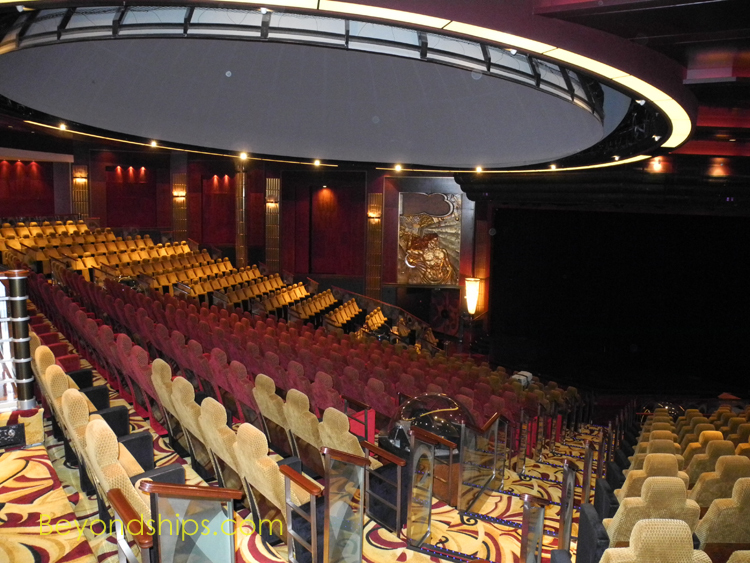 The theater is used for production shows by the Royal Cunard Singers and Dancers, classical music concerts and for perforamnces by QM2's resident troupe of actors from the Royal Academy of Dramatic Arts. 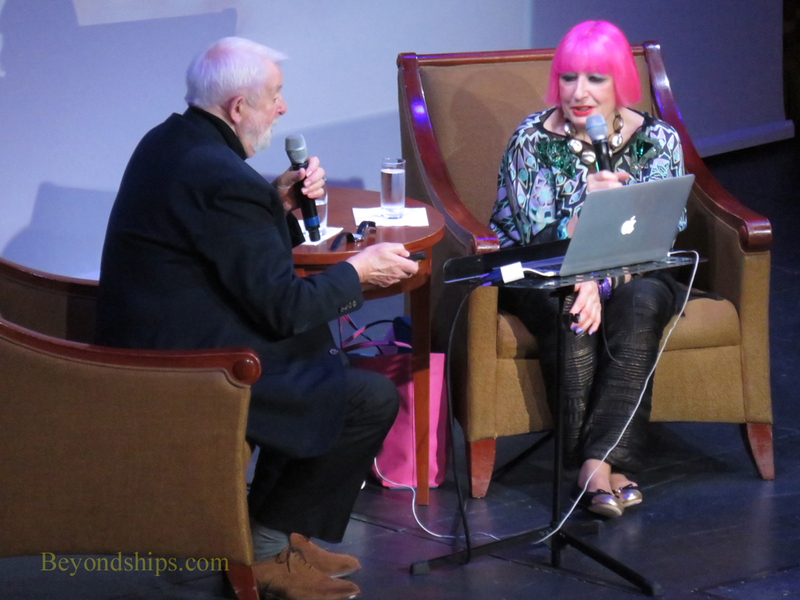 In addition it is used for performances by visiting artists such as Crosby, Stills and Nash and for lectures with celebrities such as Kim Novak, Dr. Terry Waite, Colin McDowell and Zandra Rhodes. 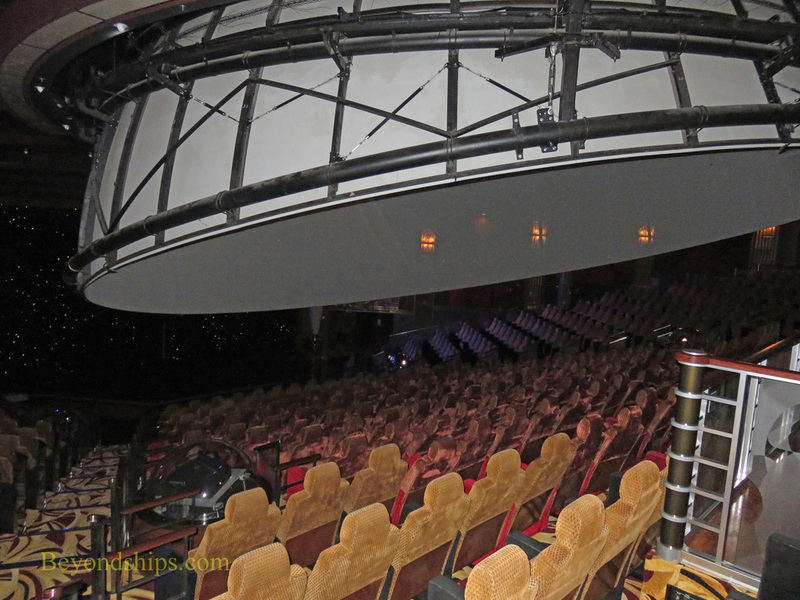 screen that is lowered down over the center section of the seats (above). 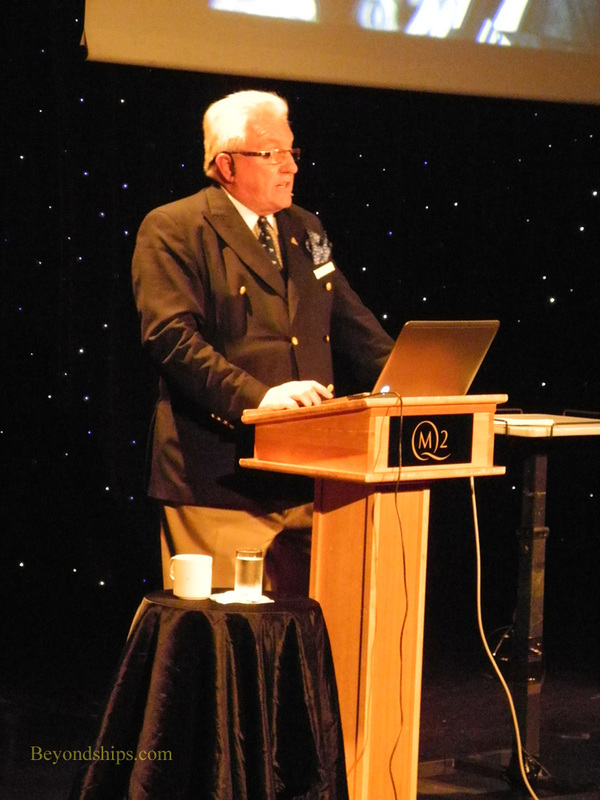 The art deco room is also the primary venue for the Cunard Insights program featuring lecturers such as ocean liner historian Bill Miller (read separate article) and QM2 designer Stephen Payne (see interview). Illuminations is also used as a movie theater as it has a large screen behind the stage. 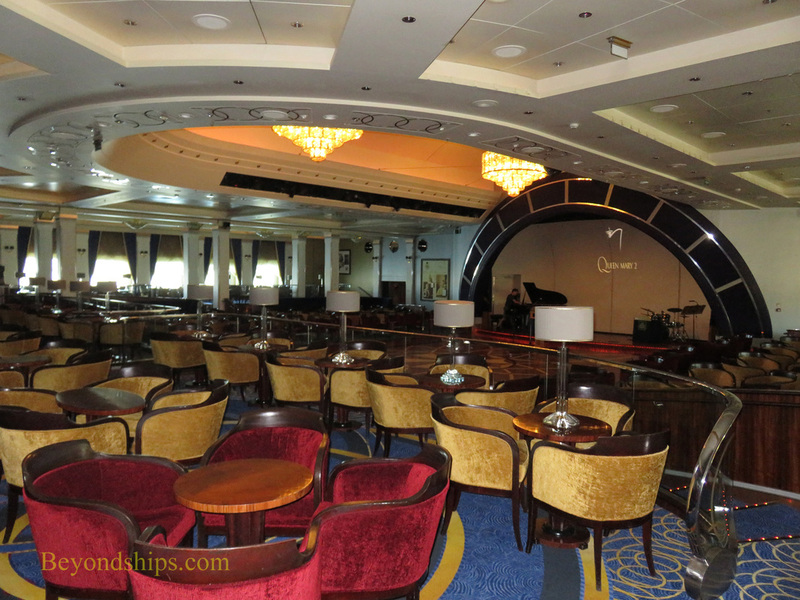 The Queens Room is QM2's spectacular ballroom. 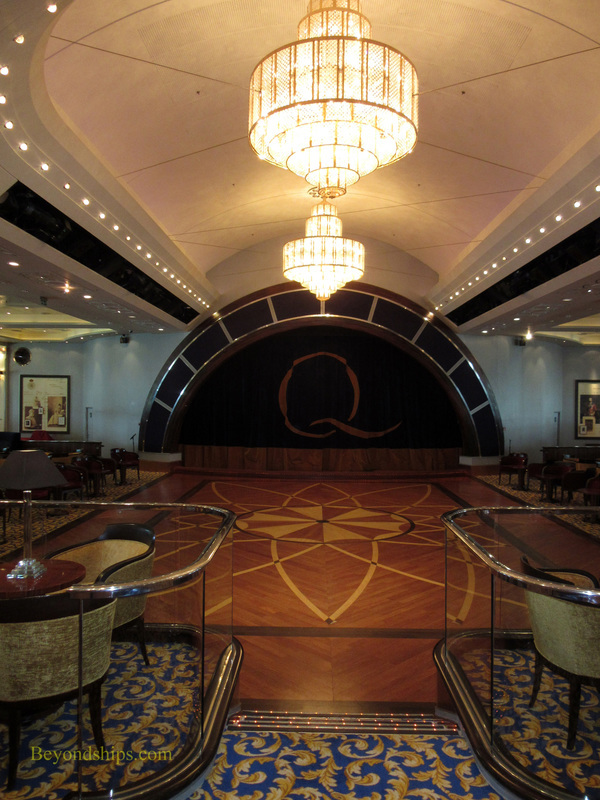 It has the largest dance floor at sea. 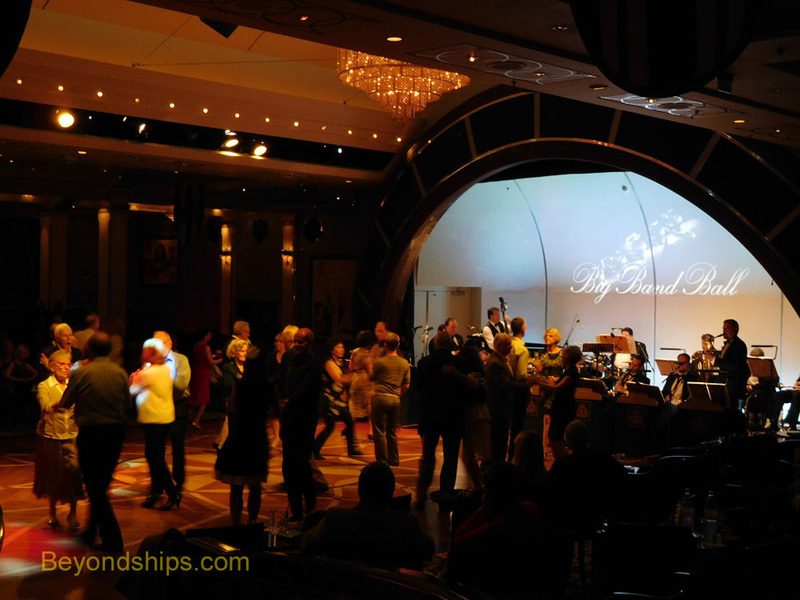 Several evenings during each crossing it is the scene of balls with themes such as the Black and White Ball, the Big Band Ball, and the Masked Ball. 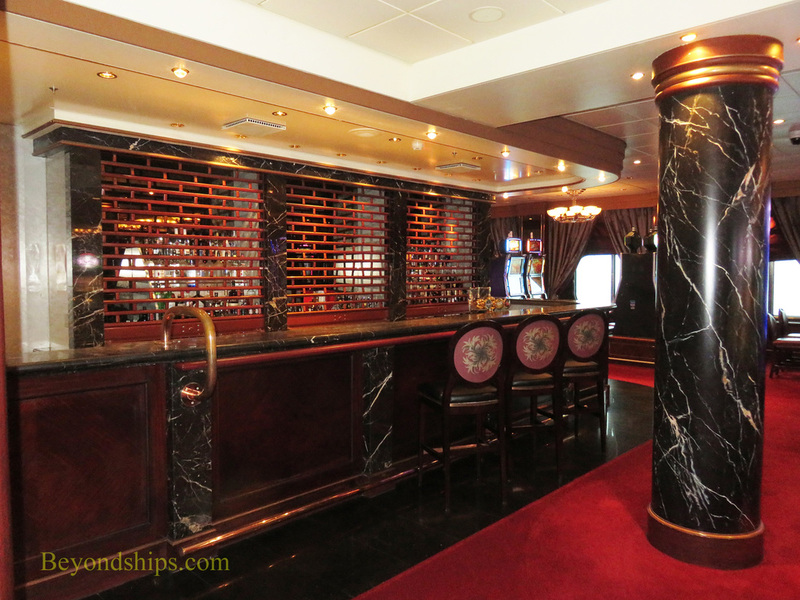 In addition, the Queens Room is used for receptions such as the Welcome Aboard party and the Cunard World Club party, both of which are hosted by the captain. 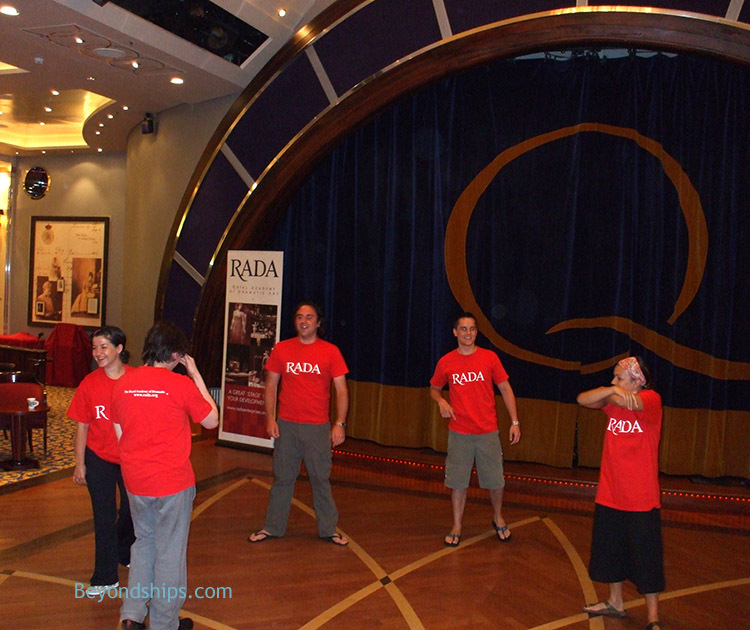 The Queens Room is also used for activities such as the RADA acting classes and for events such as the Zandra Rhodes Fashion Show. 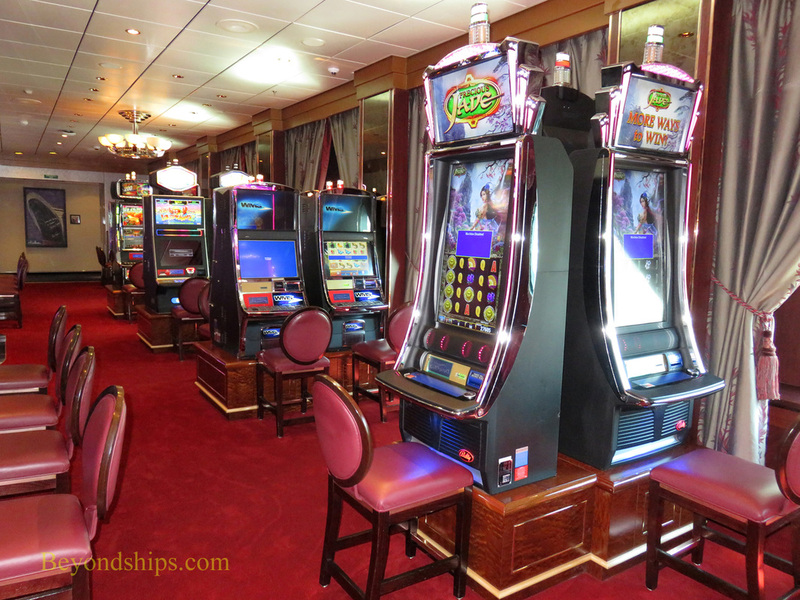 The Empire Casino recalls the elegance of 19th century European casinos. 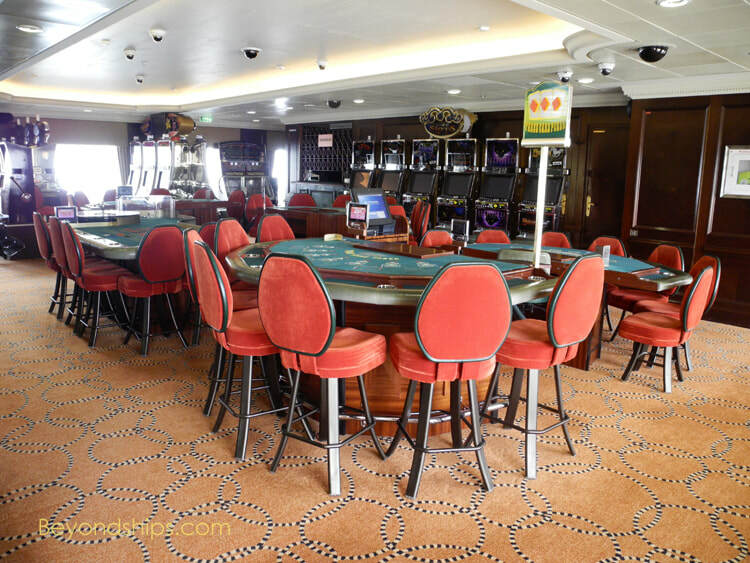 Although educed in size during the 2016 refit, the casino nonetheless has gaming tables, slot machines and its own bar.